Today’s blog is brought to you by one of our herbalists, Ashley San Julian from Gum’s Hollow Apothecary. Ashley did our opening chef’s demo this season and is back this week to share with us her Sage and Echinacea Herbal Throat Spray. With, ahem, cooler weather on the way and school back in session, this throat spray would be an excellent addition to your healthcare arsenal. At the beginning of the summer market season, I did a demonstration under the chef’s demo tent on the art of making an herbal elixir. An herbal elixir is essentially an herbal tincture that’s been sweetened with honey. (An herbal tincture is an herbal extract made by using a solvent such as liquor to extract the medicinal properties from an herb.) I have so many fresh herbs in my garden and I am trying to make as much medicine using fresh ingredients as possible! Today I am inspired by my good friends, Sage and Echinacea. I will be making a throat spray to fight off those nasty cold symptoms this fall! This throat spray recipe is essentially just an elixir recipe. Echinacea is known to raise the body’s natural resistance to infection by stimulating and aiding immune function. It is particularly effective against bronchial and respiratory infections, sore throat, and oral infections, and in any situation where the immune system needs strengthening. Sage is known to be a well known cold and flu fighter. Because of its astringent, antiseptic, and relaxing action on the mucous membranes, sage is a classic remedy for inflammation of the throat, mouth, and tonsils. It is one of the best remedies for laryngitis, tonsillitis, and sore throat. The first thing I will do is get all the ingredients together. Gather your herbs and tear or chop them into smaller pieces. Next, gather your Brandy and Raw Honey to pour over your herbs. Pour Brandy over the herbs and fill the jar about half way to ¾ of the way full. Fill the rest of the jar with the raw honey. Place the lid on your jar and begin agitating the jar. You want the Brandy and raw honey to mix completely. Next you will label your jar. Be sure to include all the ingredients and the date on which you made your throat spray. Allow at least 6 weeks for your elixir/throat spray to macerate. After the allotted time, you can strain your throat spray and bottle it. I like to store mine in amber glass spray bottles. You can purchase them online! Again, be sure to label your spray bottles and make sure to include the date and all the ingredients that were used. Elixirs typically have a shelf life of 1-2 years. You can store your elixir/throat spray in a dark, cool place like a cupboard or in the refrigerator. I personally like to store the throat spray elixir in the refrigerator. The cooling effects of being refrigerated feels better on a sore throat! 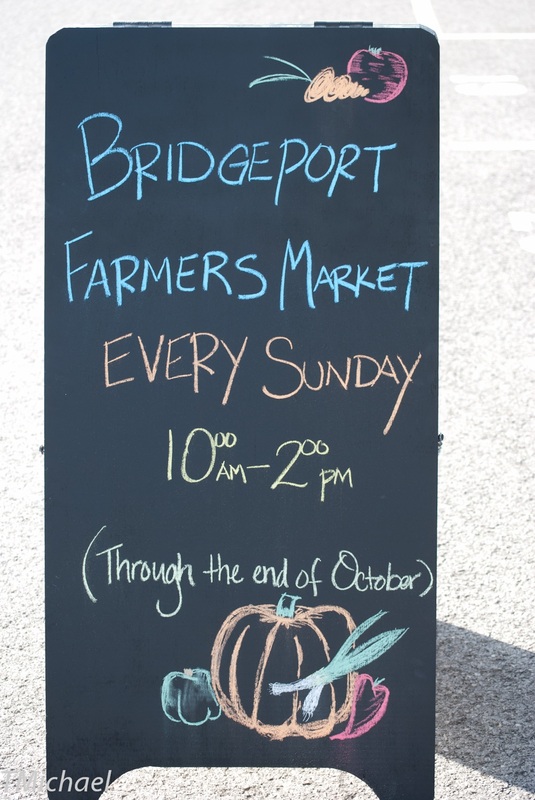 VIDEO: The Bridgeport Farmers Market is off to another successful summer! Make sure you stop by every Sunday from 10am-2pm. Get Your Tickets For Our Spring Community Dinner Here!